An interesting behaviour shown by Kestrels breeding in the central Apennines (Gran Sasso). 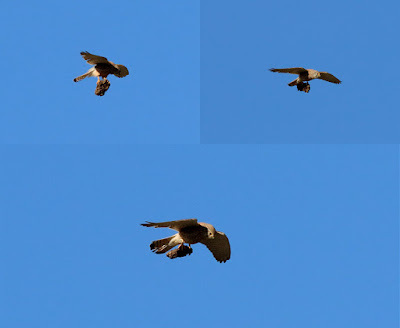 Our friend Eliseo Strinella took these pictures of Common Kestrels flying with cow's droppings. 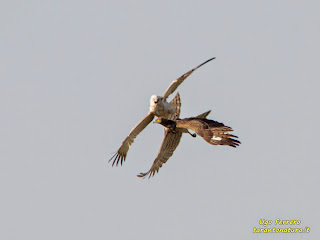 What do Kestrels do with those excrements? 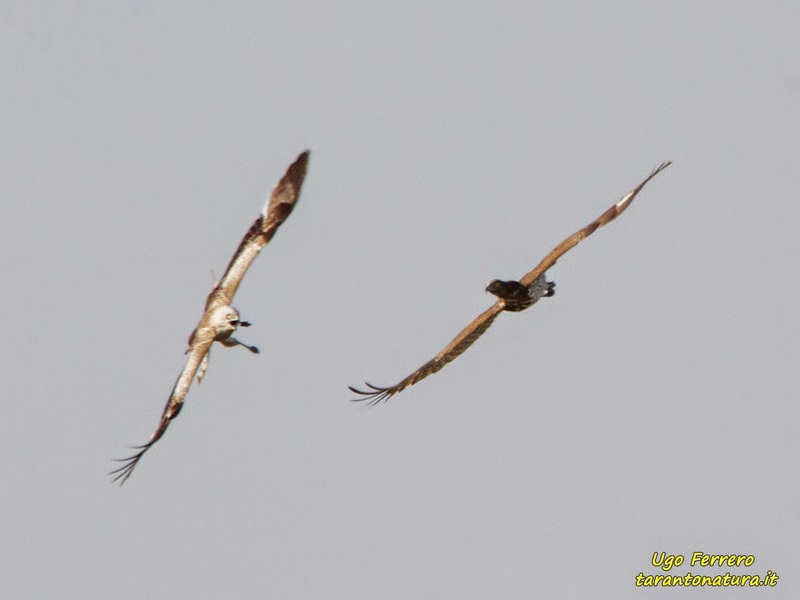 Over the last two days at the Strait of Messina raptor count in Southern Italy, around 4000 raptors were observed. 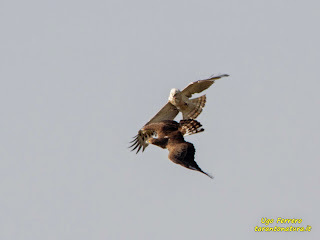 Twelve species were recorded in total; honey buzzards were the most frequent, passing in large flocks. Other highlights included small flocks of red-footed falcons, montagu's and marsh harries and a juvenile pallid harrier. As well as black kites, booted eagles and black storks. The count was supplemented with the use of radar to detect bird passage. 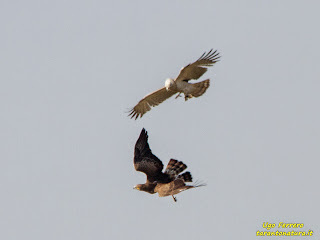 Here following an amazing sequence of a "discussion" between an adult and an immature short-toed snake eagles. The pictures were taken by Ugo Ferrero in April close to Taranto in south-eastern Italy. 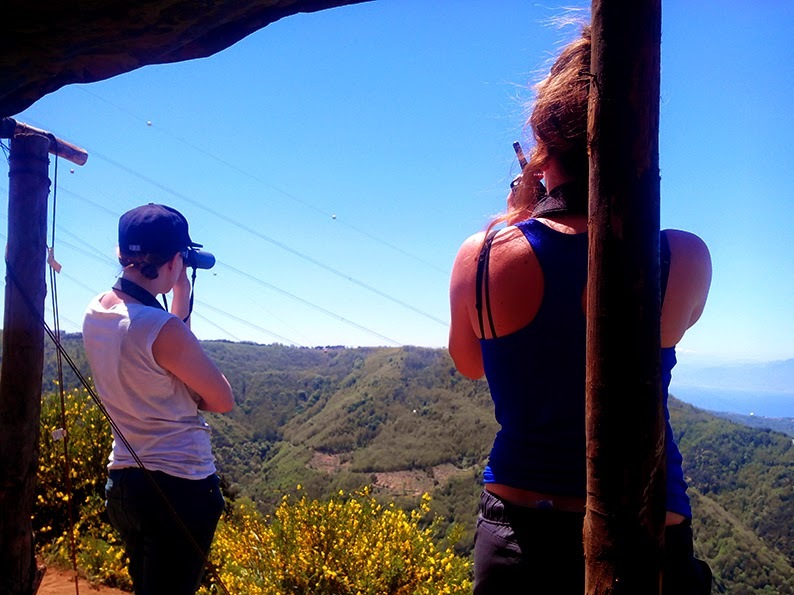 The last two days we have counted about 3000 raptors at our watchpoint at the Strait of Messina. 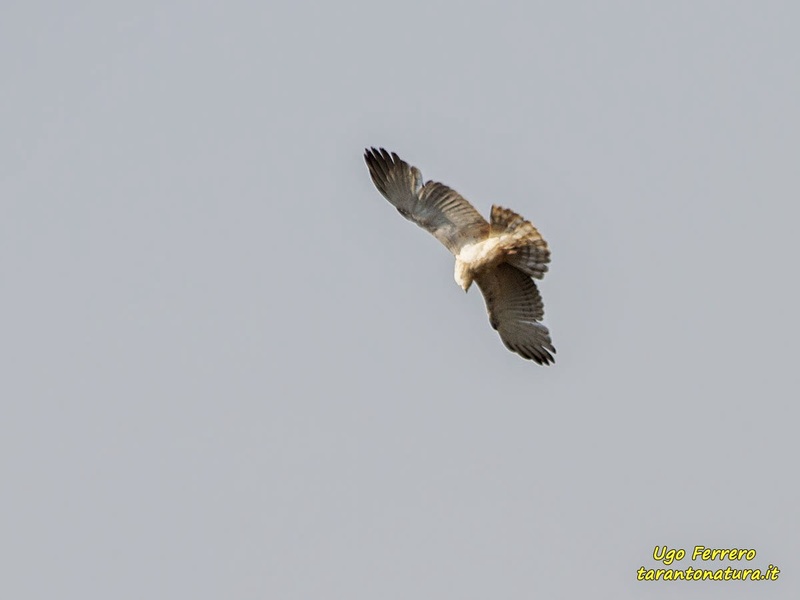 They were mostly Honey Buzzards but we observed also dozens of Black Kites and harriers. A flock of seven Black Storks was observed on Ciccia Mountain, on the Sicilian side of the Strait, and after 38 minutes they passed over our station at 23 km of linear distance. This morning the migration has started early, with 100 hundred Honey Buzzards between 8:00 and 8:30. 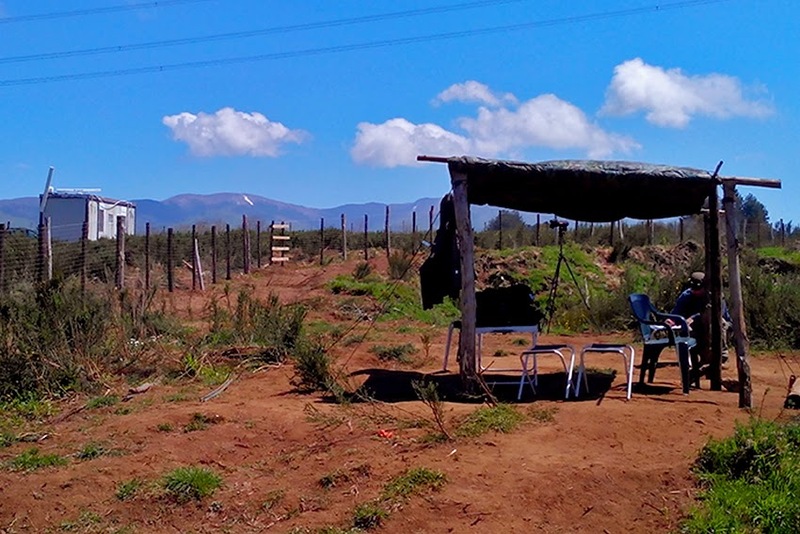 In the picture our watchpoint and, on the left, the radar station.